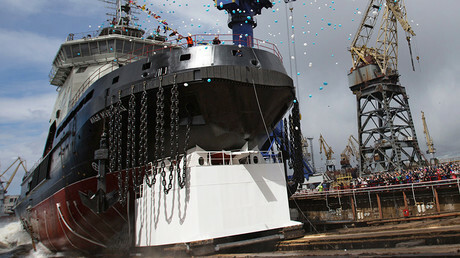 Ilya Muromets, the Russian Navy’s cutting-edge icebreaker designed for Arctic operations, has begun sea trials. RT looks at the country's first military icebreaker in 40 years, set to become a one-of-its-kind reinforcement for sailing in icy high seas. The next-generation diesel-electric icebreaker Ilya Muromets (Project 21180) has set sail on Thursday for 27-day trials in the Baltic Sea. The trials will include checks of navigation gear, life-saving equipment and propulsion systems, as well as day and night take-offs and landings performed by an on-deck helicopter, according to Russian news agencies. 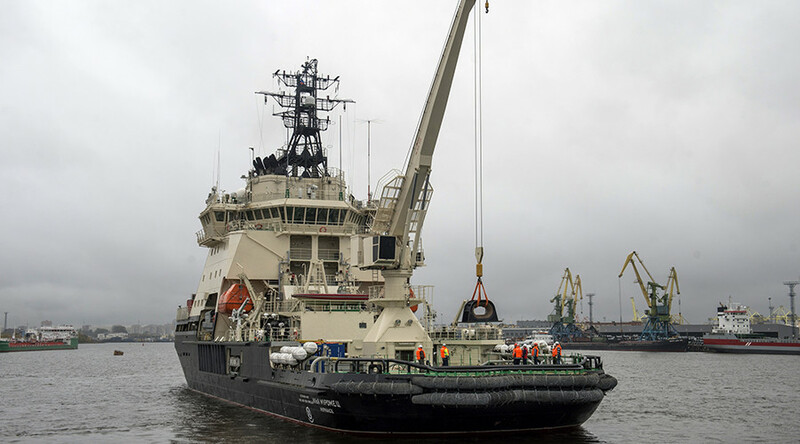 The vessel, named for Ilya Muromets – an epic hero of medieval Russian legends – is likely to become one of its kind among military ships commissioned for the Navy during the last decades. So what’s so special about this new vessel? The Ilya Muromets is designed to have an enormous cruising range of 12,000 nautical miles (22,224km) – roughly twice the distance along Russia’s Northern Sea Route and back – and an endurance run of two full months. She is able to break through ice up to one meter thick to make a safe passage for vessels sailing through the Arctic, and can tug ships as well as transport cargoes to remote military compounds. Her newest propulsion system also allows the vessel to sail in any direction, including forward, backward and sideways. The Muromets is expected to become a key workhorse for the Russian Navy in years to come. The icebreaker can be deployed to patrol Arctic waters, tug smaller ships and perform an array of support missions. That may also include tackling oil spills and conducting rescue operations for submarines. The ship’s 21-meter-long crane can be used to unload heavy cargo in the hold and in containers weighing a total of up to 500 tons. “The Russian Navy received no icebreaker-class vessels in more than 40 years, which made the building of the Ilya Muromets a historic event,” TASS reported Alexander Fedotenkov, deputy commander of the Navy, as saying on Thursday. The Project 21180 also envisages an option of the Muromets being equipped with on-board arms systems and being modified into a full-fledged military vessel. It can be particularly equipped with several types of rapid fire cannons, including a six barrel A-630 cannon, which as 30 mm caliber. Its cargo compartments, located in the rear of the ship, could also be used to host Club-K missile systems – a modification of the Russian Kalibr cruise missiles currently being used against terrorists in Syria. Approximately the size of a corvette, the Muromets can ferry up to 50 Marines carrying full combat gear. And not only that, she is capable of operating a Kamov Ka-27 naval helicopter and has a helipad on deck. The Defense Ministry said it will not further develop this class of ship, making the Ilya Muromets the only vessel in Project 21180. Still, other classes of Arctic-capable warships are expected to join the Navy in future. According to some reports, the Russian Almaz shipbuilding company will produce three more icebreakers under the project 21180M. However, those ships are expected to be smaller and have a more limited functionality. 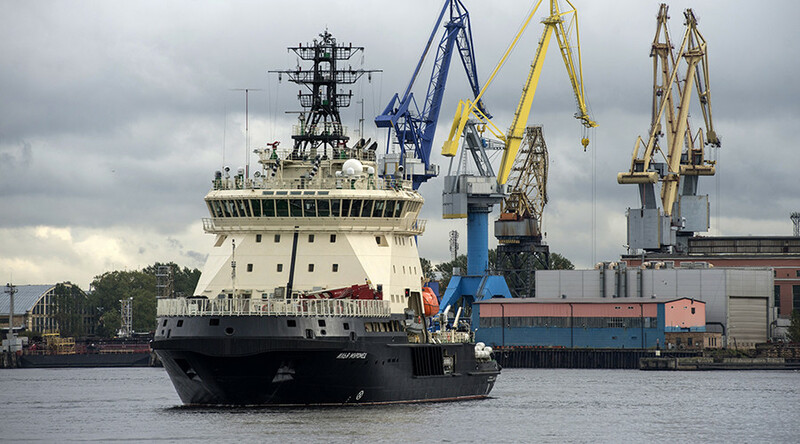 The displacement tonnage of the Project 21180M ships will reportedly amount to 4,000 tons, 2,000 tons less than the displacement of Ilya Muromets at 6,000 tons. In August, it emerged that the lead of Russia’s novel ice-rated warship class will be floated in 2019 and will be ready to be handed over to the military a year later. 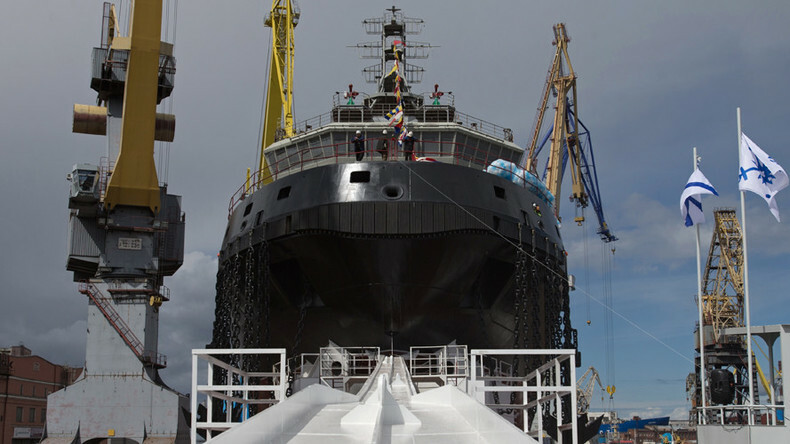 The Ivan Papanin, an 8,500-ton Arctic multirole ship, was laid down in April, signaling the Russian Navy’s commitment to project a presence in the Arctic region.